Posted on April 6, 2015 by Katrina C.
The field of medicine is continually changing to meet the current needs of people around the world. Although many diseases such as cancer seem to be on the rise, early detection now helps to save the lives of many patients. Thanks to modern medicine and new advancements in bioimaging using light technology, at-risk patients are being identified even earlier so that necessary measures may be taken to ensure proper treatment is provided. Modern medicine utilizes technology for more accurate and precise evaluation of internal body imaging. Light technology has been adapted as a safe and non-invasive method for bioimaging that provides an in-depth view of soft human body tissues. Bioimaging has evolved from x-ray technology to magnetic resonance imaging (MRI) and ultrasound technology. However, new research studies are using near-infrared light technology to develop a bioimaging system called diffuse optical tomography (DOT). This form of light technology was originally developed by NASA in their Jet Propulsion Laboratory for spectral imaging use in space missions. Throughout the past decade, scientific researchers have found that this same technology can be applied to soft tissue imaging in the human body. Diffuse optical tomography (DOT) and imaging (DOI) relies on light technology in the near-infrared spectrum to measure the optical properties of soft body tissues. The same light-based technology that is utilized in NASA’s space mission laboratory systems is now being applied to bioimaging technology. 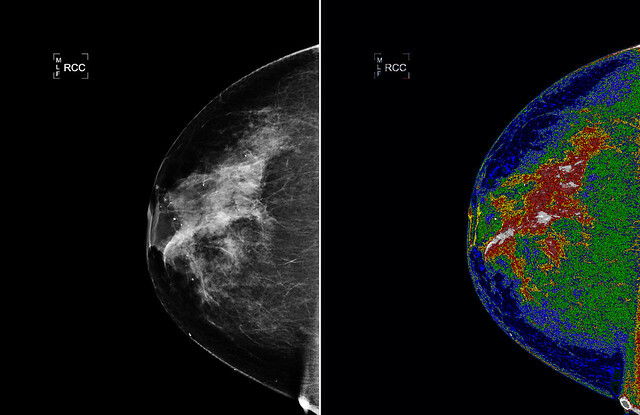 Soft-tissue analysis, such as that found in breast tissue, can now be further analyzed using this system and abnormalities can be detected earlier. Tissues such a brain and breast tissues are ideal for this imaging system due to their translucent or light-transmitting properties. Variations in light transmission and absorption can be used to detect hemoglobin and oxygen levels in the blood and this data can then be used to create a spectral image of the tissue. This process creates a high resonance image that clearly shows abnormalities and can lead to earlier detection and treatment in patients. Light technology based analysis of hemoglobin and oxygen levels have also been applied to other treatment areas, such as sports medicine and detection of early brain development in fetuses. Spectrophotometry is commonly used in many areas of modern medicine. From pharmaceuticals to bioimaging, spectrophotometers are an ideal laboratory tool for laboratories, hospitals, doctors’ offices, and pharmacies. Our healthcare system relies on spectral analysis for prescription drug safety and cholesterol screening, as well as continual research in light technology-based practices and imaging. Today’s spectrophotometers are designed for portability and the durable rugged design makes it an ideal tool for continual use as an on-the-go measurement tool. 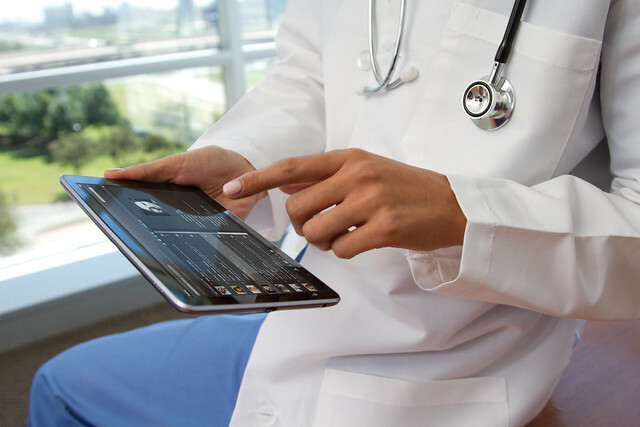 Light-based instrumentation is revolutionizing the healthcare profession. New technology using spectral imaging can reveal a wealth of information, leading to better healthcare practices and treatment options. Instrumentation can be specifically designed for use in the medical field and specified areas of bioimaging such as DOT. Near-infrared technology can measure and quantify data using the variations in hemoglobin oxygen levels to create an intricate spatial map of the light transmitting tissues. This new technology is continually changing as new developments in light technology arise. The future of our healthcare system depends on technological advances such as this to increase early detection of abnormal tissue cells and alert patients to the need for further treatment. Ideally this new light technology-based bioimaging system will lead to earlier detection and lifesaving treatments. At HunterLab we work together with leading light technology researchers and scientist to develop the latest instrumentation in spectrophotometry. Our products span across many various fields and we work together with industry leaders to create measurement tools to meet cutting-edge technology. We strive for quality, easy-to-use instrumentation that provides both consistent and precise data. Our support team ensures that our color measurement tools are used both accurately and effectively by our clients. We take the future of light technology based instrumentation seriously and work together with industry leaders to develop the best in new technology. For more information about light technology and spectrophotometry, please contact HunterLab today. Pingback: UV Spectroscopy for Vascular Imagery: Is Light Technology the New Frontier in Radiology?